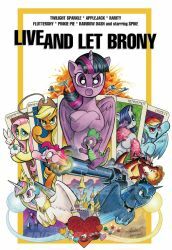 Babscon in San Francisco! 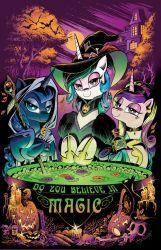 www.babscon.com/2019/ I'm not often on the west coast! I'll be at the show doing commissions, quick sketches each day, and selling prints and original art. If you've seen me at shows before, you know how busy my line is, and how fast I sell out of the larger commission slots. Well, here's your chance to get in early! If I am able to take on more than this before the show I will post further info, but don't bank on that. ALL COMMISSION REQUESTS MUST BE IN BY THURSDAY NIGHT APRIL 11 AT 10 pm EST TO BE CONSIDERED. Please get requests in as soon as you are able. I will contact the people chosen through private message so as to not reveal any gifts/etc. Good luck and thank you! 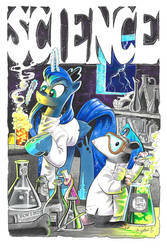 For any further info and updates I recommend following me on Twitter- I'm on there as andypriceart . Besides, you'll get to see a lot of art and other nonsense on there as well! 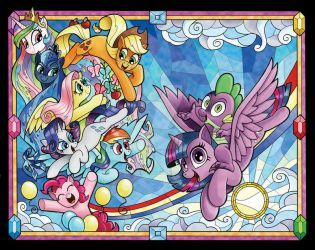 Wow, we're celebrating 75 issues of MLP! I did a wraparound cover for the book to celebrate! I will make this available as a print through my Bigcartel store soon! Everything was drawn by hand on 11x17 bristol, and inked with Faber Castell PITT pens and a 8408 Raphael Kolinsky sable brush. Figures were colored with Copic markers, colored pencil, and acrylic paint. The background was colored in digitally. A piece done for the Thom Trainor Memorial Auction this past summer at DragonCon, to benefit the heart Association . 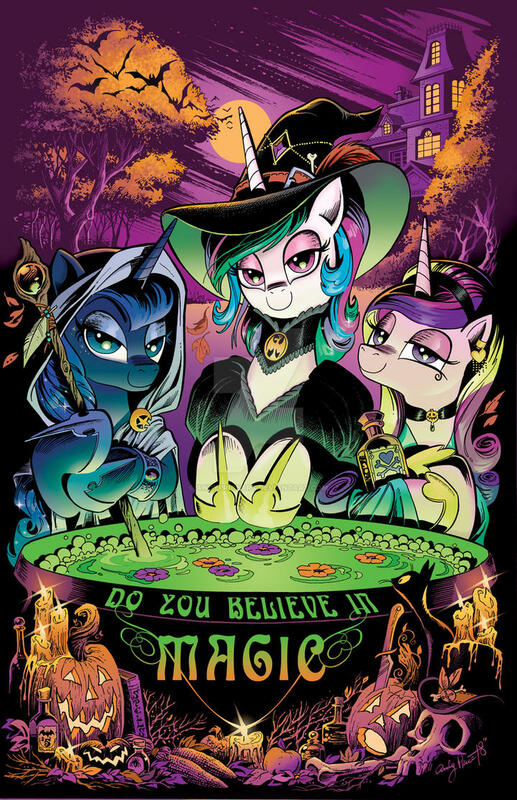 as we had a Nightmare Night story in the comics, I wanted to do a Halloween themed cover, so I used the Shakespeare theme of the Three Witches with Luna, Celestia, and Cadence! art was done with brush and india ink on 11x17 bristol board, then colored digitally in photoshop. A commission request at New York Comic Con for Luna dressed as Batman, atop a Daybreaker gargoyle! This was a fun request for a repeat customer that has been very good to us over the years. Happy Birthday, I hope you had a great day. Hope you get lots of presents/gift cards from Luna and Tibbles the opossum.